You need experienced guidance in these turbulent times. 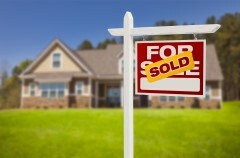 Elk Grove Real estate laws are changing rapidly and it may be difficult to keep up. That’s why you want Robert B. Anson to help you find your way. Trying to figure out the new laws as you go could become very costly. Put 30 years of experience to work for you. We will save you time and money by helping you bypass the pitfalls of the real estate world. Call 916-686-2773 or visit 9753 Elk Grove Florin Rd.